The sheep are putting their feet down on my 'shameful' stash of wool and fiber? Wow right? They really can be bossy! This fleece is from our Lily. She was one of our first Shetland sheep way back when. She was a tiny little sheep who always sported a gigundo fleece. We were quite amazed she could walk with the wool full grown! She was very sweet. 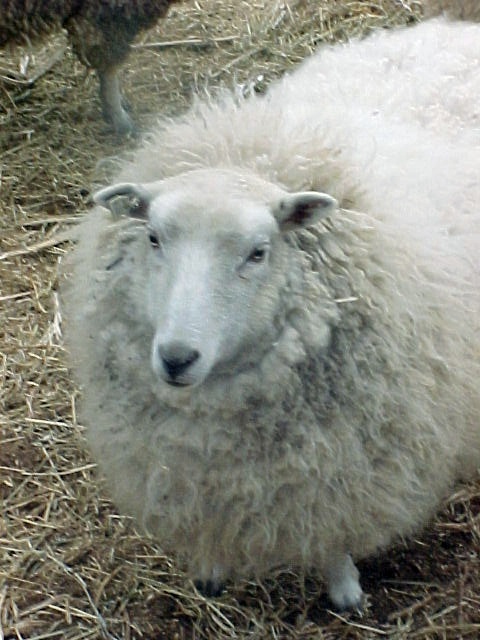 Lily's Shetland fleece features locks 4 to 5 inches long; is very soft and minor debris remains to be removed. It will fall out easily as you prep the wool for your project. She was a single coated sheep so her entire fleece is one basic length. No guard hairs. The sheep are standing looking over my shoulder- help me with my stash! Before they make me walk the plank?